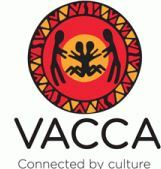 VACCA is poised to take a significant step towards achieving self-determination for Aboriginal people through involvement with the Nugel (S18) Program. These newly developed positions will play a key role in working with Aboriginal children and families, Government and sector partners to reduce the over representation of Aboriginal children in care. A key component of the roles is to contribute to better outcomes for children and to build capacity in families so that children can be transitioned home. As a member of the team you will also actively contribute to the development of internal and state-wide policies, procedures and protocols relating to both the transition and Nugel (Section 18 programs ) Previous experience in a similar role will be pivotal to your success in this role. At VACCA we know that to make a difference in the life of a child we need to do things differently. As it is culture that defines who an Aboriginal child is, how they think, how they communicate and what they value, decisions about their future are best made by an Aboriginal person and organisation that is proud of their culture. Taking this approach supports Aboriginal children to grow up strong and resilient, with cultural identity and connection to family, kin and community. At VACCA this is what we want for our children and families. Please quote in application: Case Managers via Pro Bono Australia.